In his new book "Words, Meanings, Concepts and Things" (2016) Bogdan Bogdanov establishes two kinds of discourses, which he calls "speeches of pleasure." The first one is that of the speaker who seeks peace in the invariably given world - and this is what we call ‘reflexive speech’, the second is that of the author of the realistic novel, who enjoys transforming himself into different characters and appears in various ‘here and now’s as it actually happens in life itself. The route to establishing these two types of discourses has a long history, but it is in this book that they mark the passage of a human flow accompanied by others, which, in turn, can be taken as the sign of unity which translates literary and related texts with the community-based texts - not only in Bogdan Bogdanov's studies, but also in the entire ancient Greek literature. Thus in "Europe Understood and Made" Bogdan Bogdanov writes that "claims are made about ancient Greek culture that its integrity is determined by the durability of a carefully guarded during its course of development secondary cultural language, manifested in a set of ideas, values and symbols and unfolding in the discourses of a centuries-old debate about the question of the good community of existence "(Bogdanov 2001: 29), which also creates a methodology in which a more general and enduring level of culture exists over a more every-day and flexible layer where things happen, while these two layers are not independent of each other, but actively communicate. In the new book, what was said about the good community of existence at that time is derived from the point of view of the human being identical to himself through the so-called "good situation", i.e. the unfolding: "The true value of happiness is not for it to just happen and persist by doing what one's desire and personal inklings dictate. The genuine Good is in the joy of a strengthened human unity that has come in touch with the outside of a sufficiently large world. " (Bogdanov 2016: 251). The common denominator of his model of the two discourses of pleasure is that reflexive speech is more comprehensive, including something larger than life that can be encapsulated and understood as reality, while novelist speech is the more specific part of life as a flow. What connects the two discourses is the option of modelling, one of the characteristics that Bogdan Bogdanov establishes for literature, or rather, that literature does not exist as a subject in its own right - literature is made by the reader and that is its most important foray outside, where reality resides. It is for this reason that literature and meta-literature are only conditional visions of what understanding is and through it - the making of reality. The same approach is applied by Bogdan Bogdanov to all disciplines - whose discourse is only part of the ordinary discourse, derived from the massive bulk of speech in general. For this reason, all discourses that vie for some sort of specialisation carry the specifics of discourse in general. The lack of change of the speaker is characteristic of reflexive discourses, while other peculiarities are typical of the realist novel, some of which are named by Bogdan Bogdanov as the author who speaks with his more direct speech, but also - with different voices: those of the characters. Bogdan Bogdanov never uses the claim that literature is fictional, but presents its power to create models of reality, thus approximating novelist discourses to reflexive ones through the model and optionality of a perfect world that can become quite different and can also be used by others. 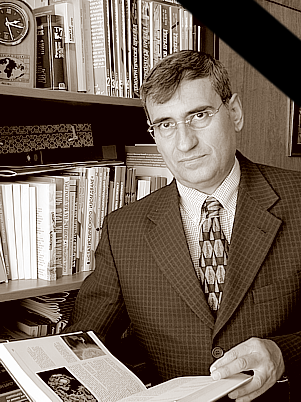 Reflexive speech appears as a background for the whole world, but Bogdan Bogdanov does not describe the backdrop to the world as defining, rather as the speaker-engine of speech as action. It is this speaker that is exposed to no change in reflexive discourses that is conducive to comprehension and change in novelist discourses, where it can be taken up by different characters inside the text, by various new ‘here and now’s and by the platform of a plot connected with references-doing of the external. In his studies Bogdan Bogdanov makes two major transitions - which can be traced precisely through these two discourses - the reflexive and the novelist. In "The novel - Ancient and Modern", "Myth and Literature" and "Narrative, Time and Reality in Ancient Greek Literature" - more directly the novelist type is at work - i.e. - understanding through literature. In Text, Talking and Understanding, the first major transition takes place from understanding things as a literary interpretation to understanding things by talking-making, i.e. understanding things in life itself. This is done using narrative and dialogue - because these are the models used both as literary genres and as discourses in everyday speech. The second transition that Bogdan Bogdanov takes in his new book, "Words, Concepts, Meanings and Things", focuses on reflexive discourse, opening to something that is not the practical world itself - but the background for the whole world - a concept that also appears in "Narrative, Time, and Reality in Ancient Greek Literature" and in "Text, Talking and Understanding", but it is further clarified in the new book. The discourses of pleasure collate the two sides that make up human nature itself - in a world accessed by making a smaller world (75), assuming that novelist discourses reflect precisely this smaller world of action-happening, while reflexive discourses reach out to the big world. In Bogdan Bogdanov's theory, "the short unambiguity is needed as a link to the long ambiguous or polysemantic thinking-speaking-writing about the same, where it shifts into a different concept." (118) On this basis - by linking speech and things in the world and by connecting us through speech with other people, even when "at this time they are not here, they are indirectly here through the speech we use" (118), Bogdan Bogdanov evolves the dual model of a world innate to speech, a world that includes the specimen of the smaller world, through which one can look at the other larger and less comprehensible world. It is this larger world that is the background for the whole world, which, if taken into account, can give a larger scale to the human being. The most important aspect of the discourses of pleasure is that the smaller specimen through which we make sense of the huge world is not truer and we think that by naming it, we capture a precise truth-reality, it is not the clear statement - it is "the longer reflexive understanding" (151), which is modularly related to the shorter one. Bogdan Bogdanov outlines one more type of relationship between the smaller and larger world, writing that "society or the public overarches the biological, amplifies it, but they are also sui generis attempts to create something non-biological and supra-biological" (193) because, on the one hand, society is also within the individual human being, and on the other hand, the human being "cannot become fully public" because it is biological - living in a stand-alone body. Likewise, culture builds on the natural environment. Bogdan Bogdanov writes in the text "About Spirituality" (Bogdanov 2014b: 43-54) that doing integrates with understanding in the same way that the natural integrates within culture because culture is longer than human life, but the natural that is inside the individual is much larger than culture. Bogdan Bogdanov takes a particular attitude to the study of speech - the different methodologies and interpretative practices he uses are always associated with a certain speech-talking or a certain genre that by employing it, opens to something different. This is not a coincidence, because this method means precisely the relation between reference and verbal activity if we assume that genres emerging from social practices can also be a kind of broader reference, signifying these practices, and discourses - can designate verbal doing. The significant examples of Bogdan Bogdanov's mobile methodology which use genres and discourses include Plato's Dialogue Hermeneutics, Diatribe Speaking, Linear Speech, the best possible speech. Even in such a pre-theoretical list, the paradigm throws itself to the eye that at the outset the cline starts with the most concrete possible to reach the most general. Platonic Dialogic Hermeneutics, which defines Bogdan Bogdanov's methodology in Text, Talking and Understanding, exploring the genre of dialogue but also speaking-conversing itself, it introduces basic models of understanding such as the existential situation, the background of a world-reality, through which the two sides of good understanding of anything are construed: 1. by being created as existent, but 2. against the background of a world-reality. According to this methodology, each instance of understanding is a life situation, and making sense of human life dwells in the topos of conversation and various specialised discourses. Diatribe speaking, or diatribe speech - "adopts and comments the natural synonymy of concepts and does not conceal the limitations of personal experience" (Bogdanov 2014a: 9). Diatribe speech is similar to everyday speech, except that it realises its unevenness, which is manifested both in the understanding of literary texts and in the literary texts themselves. Diatribe speaking comes as a kind of successor to the dialogical hermeneutics, just like the diatribe is a type of dialogue, however, which is an inter-dialogical conversation with a fictitious interlocutor. Towards clarifying the essence of diatribe speech as methodology, of significance are also the characteristics of the genre ‘diatribe’, which, like the narrative and the dialogue, sheds its figurative genre but also maintains a special relation to the voice, speaking as an inner voice, also - to mixing the different discourses into one manner of speaking. The diatribe is the seminal genre in ancient Greek literature because it marks the place where the voice seems to transform. Before the diatribe, the voices were more likely to go outside without the fear that they might be lost and aware that they are integral part of reality, which can be inferred even in the absence of a concept of "literature". After the diatribe, the voices begin to fold. However, they do not lapse in silence, but evolve further and do it even more openly. The diatribe is the fastest genre-interpreter. Diatribe discourse means "that this speech is a situation of telling which would be different in other circumstances" (436). However, diatribe discourses and the "turn to oneself" also constitute the specific pleasure from reflexive speech. Linear discourses in their turn, are a methodology that implies "the everyday statement of things enhanced with scientific and philosophical ideas" . This methodology is needed because there is no boundary between every day and scientific-philosophical speech, and since real speech is one, every specific utterance of statements and specialised concepts always remains but a wish that is never fully realised. About the best possible speech - the recipe given by Bogdan Bogdanov includes five very important actions (Bogdanov 2014b: 65) - the speech must reflect its situated-ness; diversify and consolidate in the narrative; change discourses; never stop; design. At first glance, it might seem that the possibly best word incorporates the idea of getting as close as possible to ideal speech, but in fact it does the opposite - it does what it can and the relationship between the two discourses of pleasure - the collating of a material world of here and now with the background for the larger world. This is how Bogdan Bogdanov sets in motion "things as they are" and "things as they have to be." Either way, when a definition or formula contains the word "better," or when a noun is turned into a verbal substantive, it is not a matter of ideal-ness, but of projection and the doing that follows - it denotes actual reality. In "Words, Meanings, Concepts and Things" Bogdan Bogdanov also reveals the opposite aspect - no matter how much a speech can explain, it always reaches the point of comprehension, and comprehension means a halt . The two types of discourses of pleasure - reflexive and novelist - are of paramount importance because they set the coordinates of a wider world, which has a greater claim for real-ness, if possible, back to the past to reach out before humans - as a biological existence , it therefore has a perspective forwards, connecting the biological and the spiritual. For Bogdan Bogdanov the spiritual is biological, which he explains in the text "The Tree of Life" (Bogdanov 2014b: 36-43), which gives the code of immortality: it is the biological spiritual that is the more secure that we have as a default. The concept of "background for the whole world" is similar to Plato's eidos and is likewise situated in the word. Hence the great discoveries in "Words, Meanings, Concepts and Things": things belong to the word because every speech act refers, but also it does things verbally; because of the always available world-wide background, reference is also a reflection; along with human memory, activity is among the main manifestations of human consciousness that is always directed towards one or the other better; the human is - existence in a great world of knowing through creating a smaller world; two interpretations exist - of full understanding of here and now, which can also be a complete merger of the person who understands with what he understands, and understanding of the continuing discernment, in which everything, along with the one who understands, turns into something different; the differences in the mind are felt when the length of what is thought is greater. Bogdan Bogdanov's favourite place in Plato's dialogue "Phaedo", which he adopted as his motto, is also related to speech and to the relationships that reflection and novelty enter. Socrates says: "... when something is not properly named, the error is not just in language. It also causes harm to the soul. " (Plato 2007: 115e). These words highlight the connection between reality, speech, body and soul. In one of the broader talks at the All University Seminars of NBU, Bogdan Bogdanov said: "This excerpt from Phaedo warrants my persistence on adequate naming. Yes, naming is really difficult, naming is incredibly capable of spoiling for us not only any moment of the day, but also - a whole life. Socrates wants to tell them from a modern point of view that the body is not the human being. Man is something different. Man is something different - we will say in our modern manner - when something dies, it ceases to exist - as easy as that, and the body is not the man. But it is not easy to separate one from the other. At first, when Socrates' students asked him - "Can we do something that would please you?" Socrates replied, "Take care of yourselves", yes, but he said one more thing, "Each of you will take care of himself impeccably if you take care of yourself in accordance with our conversation so far." So do not just take care of yourselves, but do it according to what we discussed here. i.e. "What we discussed" - it is precisely that man is not that body, it is the soul that the soul lives long or eternally and that the separation of the soul from the body is rather a festive, wonderful act, not something terrible and sad." Such a finale, perhaps, would be appropriate for reflexive speech. The finale for the novelist discourse would be different: "Understanding is an understanding of the good," Plato says in the State (Plato 1981: 505b), but in "Words, meanings, concepts and things" in numerous chapters Bogdan Bogdanov evokes not "the good," but "the better," which "better" should not be read and interpreted artistically, because through it he moves Plato's ideal "good" and Aristotle's " things as they should be" from good to better. For Bogdan Bogdanov this is the sign of life and flow. The fact that speech refers, but also creates and changes is precisely the movement towards the "better" and continuity. 1985. Myth and Literature. Typological Problems of Ancient Greek Literature until the Age of Hellenism. Sofia: Nauka i Izkustvo. 1989. 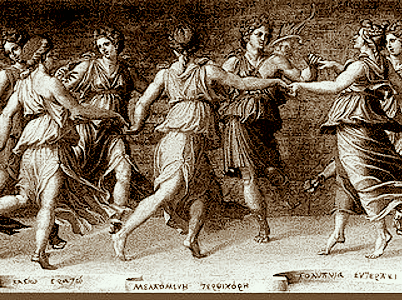 History of Ancient Greek Culture. A Theoretical Insight. Sofia: Nauka i Izkustvo. 2001. Europe - Understood and Made. Sofia: Planet 3. 2005. Separate and Together. Sofia: Planet 3. 2014a. 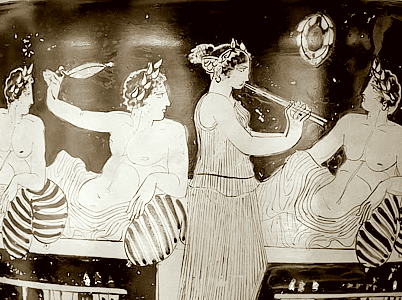 Narrative, Time and Reality in Ancient Greek Literature. Plovdiv: Janet 45. 2014b. Text, Talking and Understanding. Essays. Plovdiv: Janet 45. 2016.Words, Meanings, Concepts and Things. Sofia: NBU. 1981. The State. Volume 3. Translation: Alexander Milev, Sofia, Nauka i Izkustvo. 2007. Phaedo. Translation from Ancient Greek: B. Bogdanov. Sofia: Planet 3. Bogdan Bogdanov's research attempts to remain flowing, ongoing, which is why he almost never quotes, because when specialised discourses seek on the one hand to reach truth through concepts and definitions, and on the other hand, by citing - a double brake is applied - not relying on the speaker's own experience - thus preventing the discourse of pleasure, hindering the talk also stops creating reality. But not only as the biological, because in the past, before the ancestors were the gods.